I said the original version of the Hero was "daring" and "ambitious, but tragically flawed." (Read that review first.) If it was Batman, the Sprint Hero is Superman: Nearly perfect, but goddamn boring. HTC has taken the striking, aggressive angles of Hero v1 and flattened them out into a rounded, far more generic looking phone. It's not hideous, but it's lost its power to captivate as a geek fetish object. Interestingly, while HTC says the hardware is exactly the same—except for the CDMA chips to get it on Sprint's network, obviously—there are some differences we noticed. 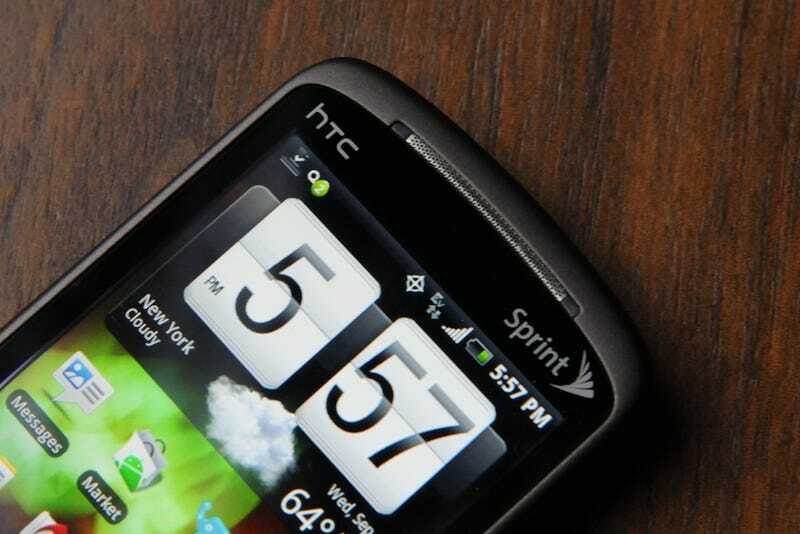 The screen, while the same size, actually seems to look a little bit better on the Sprint model. Not worlds better, but if you look close, the difference is there. The colors are a bit more saturated, the viewing angle a little wider. Also, it's got a bigger battery: 1500 mAh, compared to 1350 before. The bigger trackball is a plus, since it takes less thumb movement to get around, meaning less carpal tunnel problems in the future. The only real new bits, software-wise, are a handful of pretty standard Sprint apps: Sprint Navigation, NFL Mobile Live, Nascar, SprintTV and Device Self-Service. Everything else, from the keyboard to the multitouch browser looks the same, just faster (and in the case of Flash in the browser, more reliable too, since we could actually watch videos this time around). Which is dandy, since HTC's Sense UI, with its multiple desktops, social networking integration, widgets for weather, Twitter, settings and other enhancements, made Android great. The real power of this Hero is that the best Android phone you can buy—it's everything good we said about the first Hero, but with our biggest complaint, speed, fixed—is on Sprint and its solid 3G network—making it the first U.S. Android phone outside of T-Mobile—and it's $180. Plus, the required Sprint Everything now has free calling to any mobile number, not a bad perk. The princess might not kiss this Hero because it's kinda ugly, but at least it'll actually get the job done now. If you've been waiting for an Android phone not on T-Mobile, or one that's finally just about ready for primetime, this is it.